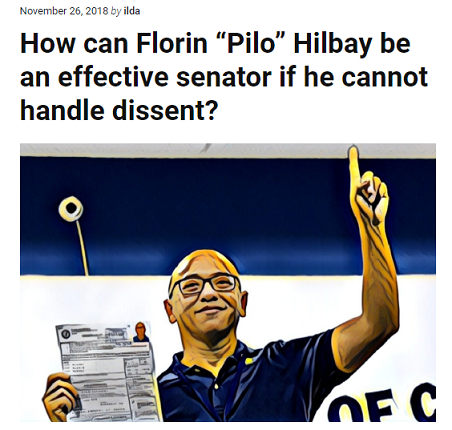 Home / Opinion / Fearless Blogger on Hilbay: "How Can He be an Effective Senator if He Cannot Handle Dissent on Social Media?" Fearless Blogger on Hilbay: "How Can He be an Effective Senator if He Cannot Handle Dissent on Social Media?" 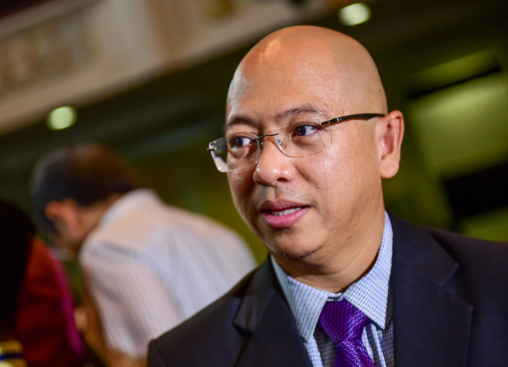 GetRealPundit, part of the popular blog site GetRealPhilippines, then again published a very remarkable opinion, this time regarding Lawyer and Former Solicitor General, Florin Hilbay and the latter's alleged tendency to block everyone who disagrees with him in social media. According to the site's prominent writer, Ilda Ignacio, Hilbay assertedly hinders everybody who contradicts his perspective, hence, should just close his social media account if he can't deal with disapprovals. "He blocks everyone who disagrees with his views. If he can’t handle dissent on social media, he should close his account. ", the blogger wrote. Ilda then announced that she would be impressed to the lawyer, if the latter can demonstrate to the people that he can fight verbally online like a genuine lawyer, or if nothing else, permit different opinions on his timeline. "I’d be impressed with Hilbay if he can show us he can argue like a real lawyer on social media or at least allow other points of view on his timeline. But, no. He blocks everyone who disagrees with his views. If he can’t handle dissent on social media, he should close his account. ", Ilda said. Likewise, she questioned Hilbay's efficiency and asked how can the latter be an effective senator if he cannot actually deal with contradictions. "How can Florin “Pilo” Hilbay be an effective senator if he cannot handle dissent? ", she asked. The fearless blogger additionally said that the former Solicitor General's solitary platform for running for a Senate seat is his having topped the Bar exam that yellows are allegedly so impressed at. 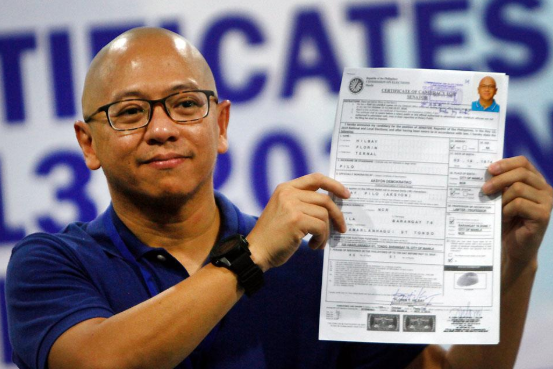 "Florin “Pilo” Hilbay’s only platform for running for a Senate seat is his having topped the Bar exam. And yellows like Jover Laurio are so impressed that he topped it while having a girlfriend on the side. That’s how shallow they are. They assume everyone else is impressed by people who can memorise Philippine laws. ", Ilda added. Correspondingly, Ilda revealed that even an opposition journalist calls out Hilbay for being prejudiced of disagreeing other's opinions. A yellow disclosing fellow yellows as cheats and with a solid feeling of privilege. "Even Yellow journalist Marites Vitug calls Hilbay out for being intolerant of dissenting views and goes as far as pointing out his penchant for “hyperinflating his importance”. ", she said. "Indeed, this has been a week of yellows exposing fellow yellows as frauds and with a strong sense of entitlement! We can only watch in amusement. ", Ilda ended. "How can Florin “Pilo” Hilbay be an effective senator if he cannot handle dissent? Indeed, this has been a week of yellows exposing fellow yellows as frauds and with a strong sense of entitlement! We can only watch in amusement."